When the tycoon Bogue (Peter Sarsgaard) takes over a town and terrorises its people, seven men lead by bounty hunter Sam Chisolm (Denzel Washington) come together to take on his army and save the townspeople. The Magnificent Seven is a lot of fun and a lot of that is thanks to the cast. The seven men have a lot of chemistry and each bring something different to the group. Josh Faraday (Chris Pratt) is the joker and gambler of the group who enjoys annoying Vasquez (Manuel Garcia-Rulfo) a Mexican outlaw a lot. Goodnight Robicheaux (Ethan Hawke) and ex-soldier and Billy Rocks (Byung-hun Lee) a knife fighter come as a pair, while Jack Horne (Vincent D’Onofrio) is a tracker and Red Harvest (Martin Sensmeier) is a Comanche warrior. They are all very different people and it’s the moments where they are all sitting around a campfire or are in a saloon talking that are real highlights of the film. And while she is the only prominent female character in the film, Emma Cullen (Haley Bennett) is a force to be reckoned with as it’s she who goes out to find men to fight for her town and she has the respect of the men she employs. The cinematography in The Magnificent Seven is gorgeous, there are often extreme wide shots of the town and the battles and they all look wonderful. The fights themselves are also well-shot and the action is very clear to follow and you have a good idea of where everyone is in relation to each other. There’s only a few shootouts in the movie but when they happen there is a good pay off and the one at the start of the second act has a good standoff between the good guys and the bad. There are some clichés and tropes in The Magnificent Seven, but the characters and action are so well put together that it doesn’t really matter that much. 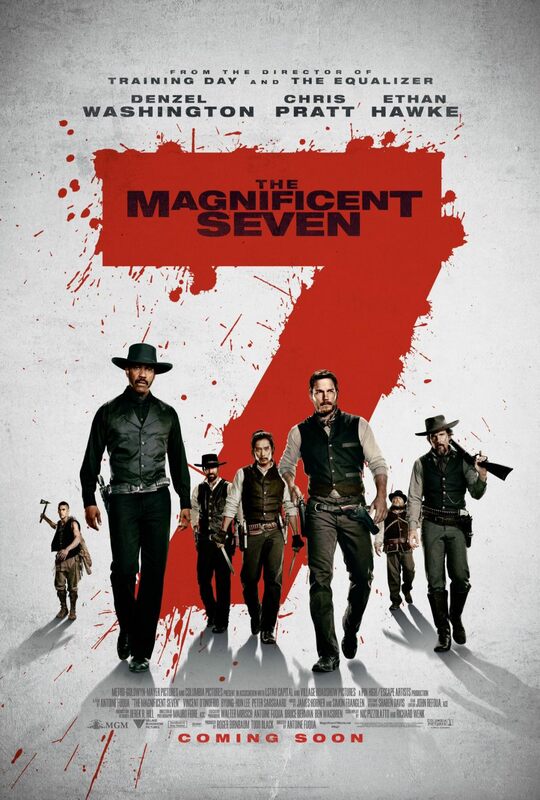 Some characters do things that you can see coming a mile off but that’s mostly because the formula for The Magnificent Seven is a classic and even if you haven’t seen the 1960 original, you’ll know what will probably happen as the basics of the story has been seen in many different genres of films over the years. The Magnificent Seven is a lot of fun. It has everything you want from a Western and the final battle even offers some surprises. 5/5.